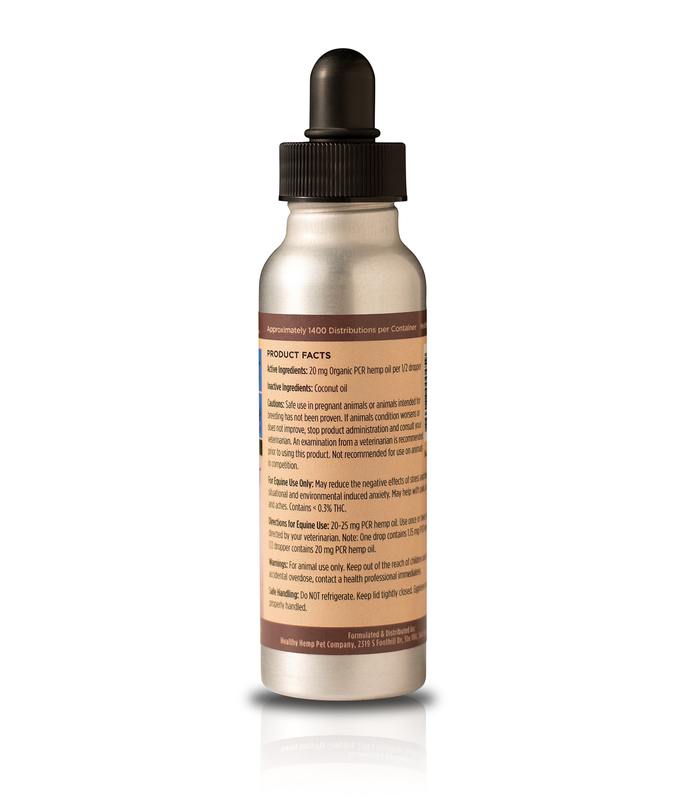 Healthy Hemp Pet Equine CannaDrops™ offer animal owners, caretakers, and clinicians a more flexible and cost-effective way to administer larger doses of organic full-spectrum terpene rich PCR hemp oil. 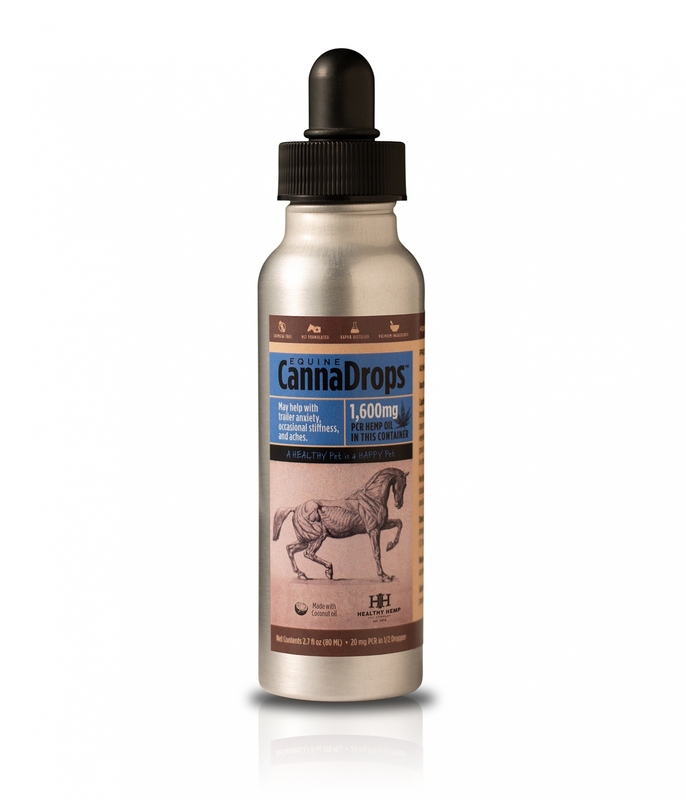 Equine CannaDrops are small batch, and produced with care in the hills overlooking the Salt Lake Valley. 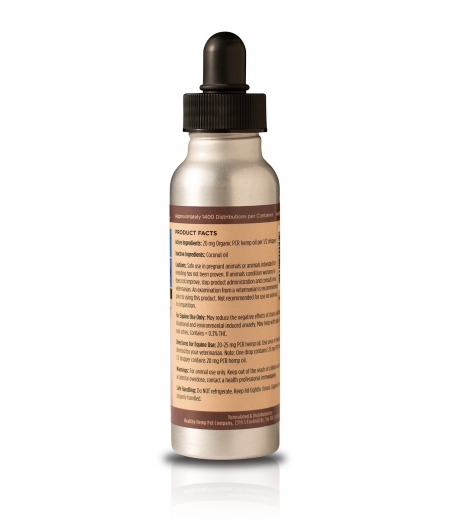 Featuring 1600 mg of organic full-spectrum terpene rich PCR hemp oil. Do NOT refrigerate to realize eighteen month shelf life. Like all of Healthy Hemp Pet Company products, Equine CannaDrops contain no gluten, no fillers, no chemicals, no fragrance and are cruelty-free. PCR Hemp Oil: Our hemp oil partner’s proprietary Vapor Distilled extraction method, is the purest process currently available, and delivers clean, 100% solvent-free, organic, naturally phytocannabinoid-rich (PCR) hemp oil derived from the flowers and leaves of naturally developed strains of industrial hemp. Grown legally using organic farming methods in Colorado under a Department of Agriculture program. Every batch of the hemp oil we use is rigorously tested to ensure it contains less than 0.3% of the psychoactive cannabinoid, THC, so, no Equine CannaDrops will not get your animal “high.” Hemp oil is also an excellent source of omega-3 and omega-6 fatty acids. Coconut Oil: Coconut oil contains lauric acid, an immune builder that may help support stamina and endurance, provide support for a healthy coat and may also help relive some symptoms of seasonal allergies in animals.